Thomas Bailey is the president of Teachers College, Columbia University, and the George and Abby O’Neill Professor of Economics and Education at Teachers College. In 1996, Dr. Bailey established the Community College Research Center (CCRC) at Teachers College. He has served as director of two other IES national centers—the National Center for Postsecondary Research (NCPR) and the Center for Analysis of Postsecondary Education and Employment (CAPSEE). Dr. Bailey holds a PhD in labor economics from MIT. 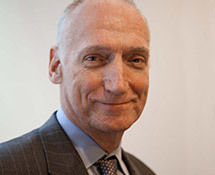 He served as the director and principal investigator of CAPR until assuming the presidency of Teachers College in 2018.